Off the Beaten Track offers comfortable cosy accommodation only 2 minutes walk to Murchison's town center and the Buller River. Your 'home away from home', select from a studio unit to a choice of 2 self contained cottages. 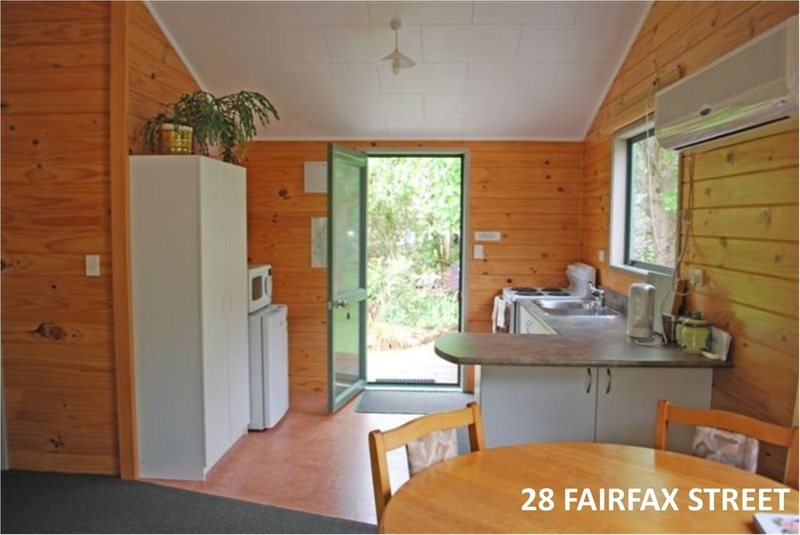 Falcon & Tui cottages are fully self contained. Queen & single beds, fully equipped kitchen, Private deck area . Sleeps up to 6 people. Kea Studio, easy on the budget, is comfy and cosy with queen bed, ensuite, tea & coffee making, toaster, microwave & fridge. Sleeps 1 to 2 people. Relax amongst the trees and garden. Enjoy mountain views. Listen to birds and lyrical sound of the Buller River. Murchison and the local area offers plenty of activities and wonders of this unique part of New Zealand.